Containment is the idea of not letting communism spread. Great examples of this are the Vietnam and Korean Wars. 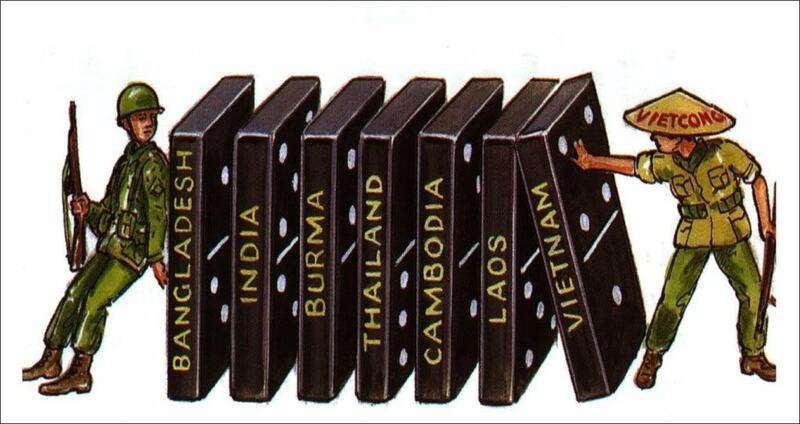 The Domino Theory is the idea that the spreading of Communism like a chain. As one country falls to communism others will soon follow. 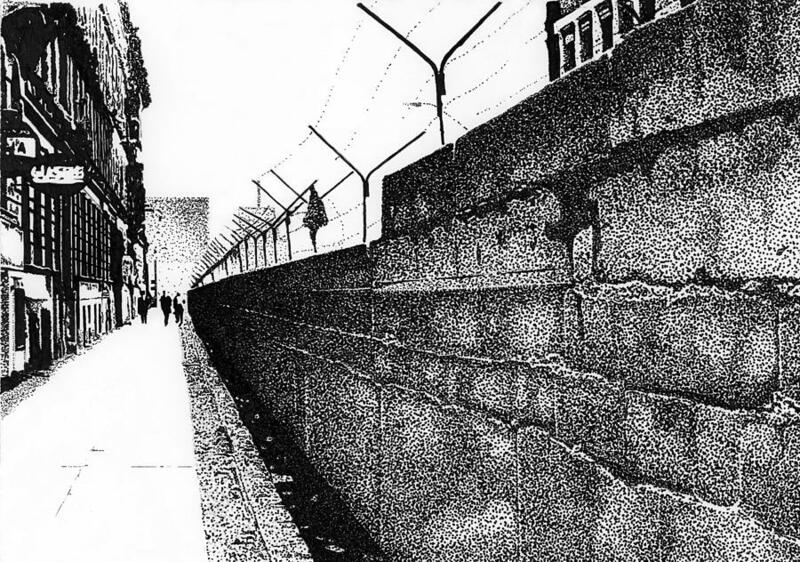 The iron curtain is the dividing line between the communist side of Europe and the non-communist side. The Iron Curtain is most famously know throughout the country of Germany. The Soviets idiotically set off their own atomic weapon to scare the rest of the world(Mainly the United States). This started the race for a hydrogen bomb. The race begins. The Korean War was a war fought between the Communists to the north and the non-Communists to the south (the country was split after World War II). Western Europe and the Americans supported the south, and the Soviets supplied the north with weapons. The 38th parallel was the dividing line between the North and the South. On June 25, 1950, the north attacked the south starting the Korean war as the United States tried to stop the spreading of communism. 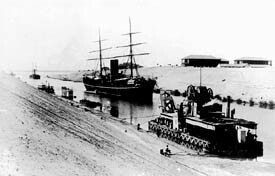 During the Suez Canal Crisis, the Egyptians took control over the British prized Suez Canal. The British asked the United States and the Soviet Union to back them up to take over the canal. Both said no. This was the first time they had agreed in basically forever. In the Vietnam War, the Vietnamese Nationalists and the communists fought against the French to take back their country. The United States joined to help the French in order to contain Communism. In the end Vietnam was divided into North and South. The French and United States controlled the south until taken over by the Vietcong because of their hatred for Diem. In the end, the Vietcong won and Vietnam was one communist country. 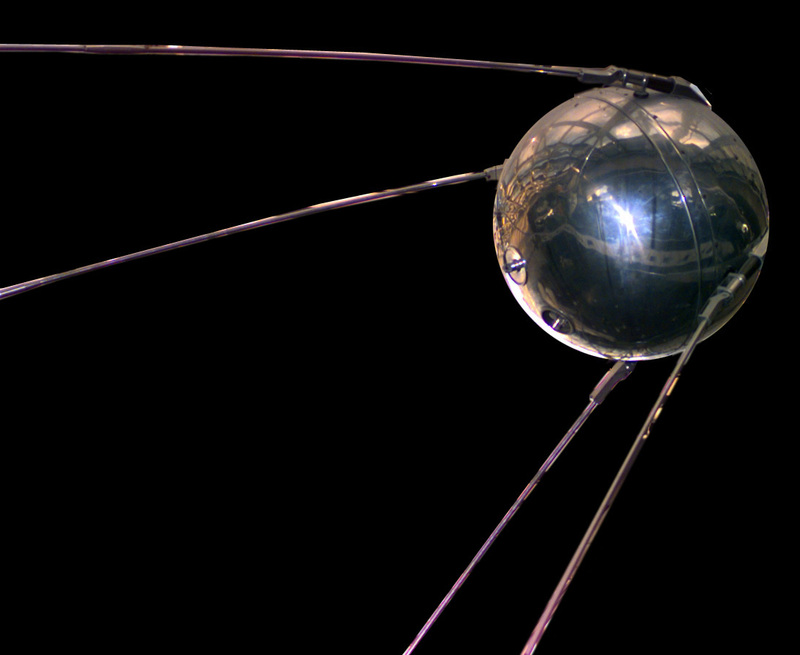 Sputnik was the Russian satellite that was blast into space. This launch started the "space race" that lasted through out the rest of the century. The United States began to put more money into research and science and then they launched their own satellite. 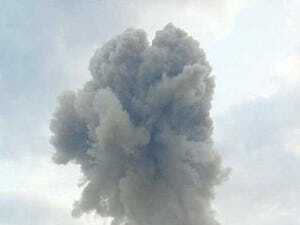 The Russians arm Cuba with nuclear weapons. In Cuba these arms are aimed towards the United States. This is a prime example of Brinkmanship. In the early 70's, Richard Nixon turned to detente. This is the lessening of the Cold War strong oppositions. In this, the United States and the Soviets began to disagree, but without the threat of war. The SALT Talks (Strategic Arms Limitations) were talks designed to limit the amount of arms a country can have. These limitations improved the communications between super powers. The Soviets invaded Afghanistan in order to support the communists. 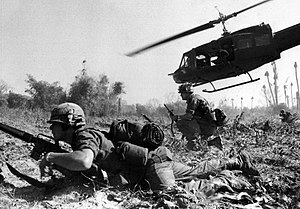 Like the United States in Vietnam, the Soviets were forced to fight the rebel forces. The United State helped the rebels by supplying weapons and money. This led to the soviets losing in the end. Regan began to drift from dente and this lead to his new defense strategies against foreign missiles. These actions taken by Regan were to enforce anti-communism ideas. The US threatened us and told us that if we attacked their interests then they would retaliate quickly. to hold up their threat they strengthened their stupid army and weapons. But we did the same and we had a race for arms for four decades. The west is trying to stop us from spreading our awesomeness to the rest of Europe. They cam up with a plan to try and block us from expanding communism. After the defeat of France in Vietnam, the US became scared that after one country fell to communism the next would just like the fall of dominoes. Stalin regarded the Yalta agreement and used the strip of countries on the Soviet's western border as a buffer. The Iron Curtain cut Germany in half giving the USSR control of the eastern part of Germany, including half of the capital of Berlin. We were in a conference with Truman and Churchill much like the Yalta Conference. they demanded of me to give the Eastern European States the right to vote. Being smart as always, I refused. My reasoning is because Communism cannot survive with Capitalism in the same place. In 1948, we took over Czechoslovakia. The US was trying to give money to all the poorer people in our countries. The only way they got that is if they could break away from our strong power. We exploded our atomic bomb, aka Joe 1, because we had more advanced weapons than the US. The US stupidly thought that they could try and beat us to making the hydrogen bomb. Tha'ts when the race began. The US made some stupid alliance with some European conties and Canada. So we also made and alliance called the Warsaw Pact. The Korean War was between the Communists and the non-Communists. The communists were in the north and the non-Communists in the south. We supported the Northern Communists and gave them weapons to use during war. The Us supported the southern non-Communists. The 38th parallel was the line between the north and the south before the Korea War. The war started when the north attacked the south. We saw the NATO as a huge threat to us, so in 1955 we formed our own alliance. This alliance included the Soviet Union, East Germany, Czechoslovakia, Poland, Hungary, Romania, Bulgaria, and Albania. This is the FIRST time EVER we agreed with the US on something. The Egyptians took over the Brits best canal. This was the Suez Canal. They asked us to help them take the canal back, but both us and the US said no. In this war, the nationalists in Vietnam fought to take their country back from France. The Soviet Union supported the Vietnamese Nationalists during this war. In the end Vietnam was divided into North and South and the Vietcong won and Vietnam was a communist country. In August of 1957, we launched our AWESOME satellite into space. The US was so jealous of our new satellite that they decided to try and build their own. This began the "space race." Like the babies they are, the US would not directly confront us anymore. They resorted to detente. This was a policy of lessening the Cold War tensions. This replaced brinkmanship. 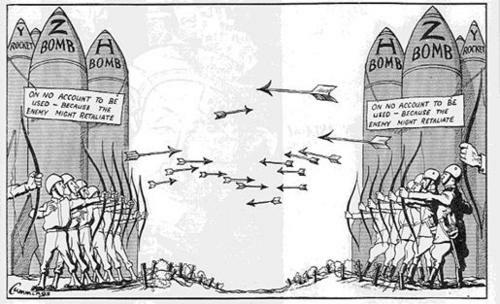 The Strategic Arms Limitations (SALT) were talks that were meant to limit the amount of arms one country could have. Both the US and the Soviet Union agreed in signing this commitment to detente and cooperation. So we could support communism, we invaded Afghanistan. We had to fight rebel forces. Since we invaded, the US came in and helped the rebels by giving them weapons and money. We ended up sadly losing. In 1983, Reagan put more money into his defense. This put a lot of pressure on our economics and military. He also came up with a program to protect against enemy missiles.